See more objects with the color peru grey or see all the colors for this object. This is a tumbler. 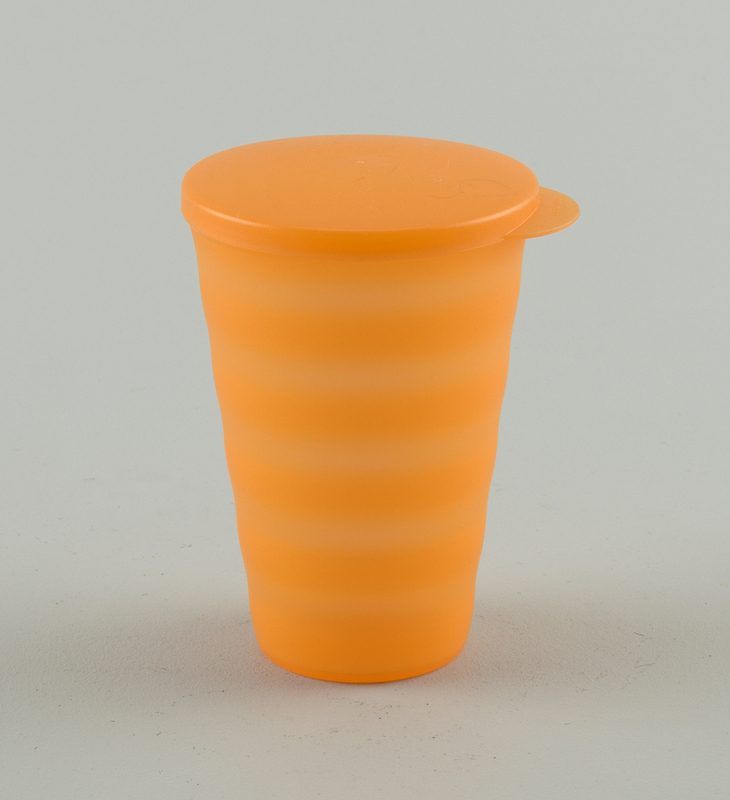 It was designed by Bob Daenen, Stig Lillelund, Jakob Heibert and Hanne Daalsgaard Jeppesen and manufactured by Tupperware Corporation and firm: Tupperware Corporation and Erik Herlow Design. It is dated introduced 1995 and we acquired it in 1998. Its medium is polypropylene. It is a part of the Product Design and Decorative Arts department. This object was donated by Tupperware Corporation. It is credited Gift of Tupperware Corporation.